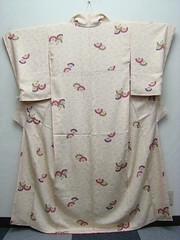 Just Another Kimono Blog: Christmas shopping??? 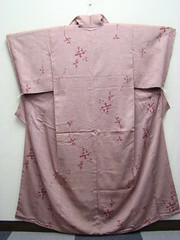 Last week I was looking on eBay again since a very long time, and I saw some very beautiful kimono listed... And I couldn't resist to do some bidding :-) Unfortunately some of the kimono I bid on slipped right through my fingers, but I did win 3 pretty kimono and 1 obi. That obi is so beautiful and soft! Thank you Diane! I'm curious how the red kimono looks irl. 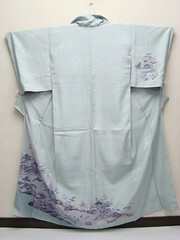 It's my first omeshi kimono..
Hey that light blue one is the one you were wearing yesterday. 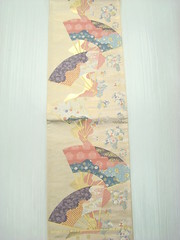 And that obi is lovely!